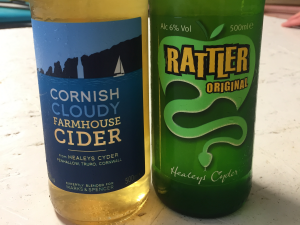 Looking at these two ciders, one of them very much appeals more to a 47-year old man like me! My teenage son, however, might see it differently. Who’d have thought they are the same product from the same cider-maker? A great example of how we often buy according how things feel.